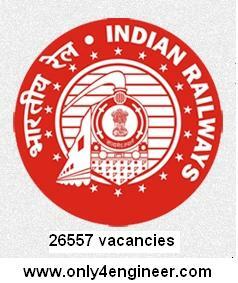 Assistant Loco Pilot (ALP): ITI/Diploma in Engineering /B.E./B.Tech. Technicians Grade-III:ITI/10+2 with with Physics and Mathematics/ Diploma in Engineering. Age: Maximum Age 30 years and age relaxation is applicable as per rule. Application Process: apply online mode in respective zone. Official notice not publish yet. Application Fees: For General and OBC: 100/- and no application fees for SC/ST/PWD/EXSM/women. To be announce in month of November- December, 2016.